What Is Vyvanse Withdrawal And Detox? How To Deal With It? Upon getting off Vyvanse use, certain withdrawal symptoms set into the body because of a change in the neurochemistry of the brain. These symptoms of Vyvanse withdrawal can be intense particularly if there already was a dependency on the drug. Therefore, it is important to know how to manage these symptoms including Vyvanse crash. Why Can Withdrawal Symptoms Be Experienced More Severely? How to Stop Vyvanse Use? How to choose A Vyvanse rehabilitation center? If the dosage is not effective, consulting a physician is a sure way to get the right dosage. Furthermore, the physician will know how to make Vyvanse more effective, therefore, relieving these symptoms. It may also be as a result of tolerance to the drug over time. Lisdexamfetamine detox symptoms can be experienced with greater severity depending on factors such as the length of drug use, the usual dosage amount taken, and frequency of use. These factors are controlled by how long Vyvanse stays in your blood. Those who take higher doses several times daily for a long period are more likely to experience severe withdrawal and crash symptoms as opposed to those who take lower, long-interval doses. How To Manage The Symptoms? If there is severity of symptoms, users should consider tapering rather than cold turkey technique. Once tapering has been adopted, the user should always stay hydrated by taking plenty of water and eating a healthy-balanced diet even if there is a lack of appetite. Despite the lack of appetite, being one of the signs of Vyvanse abuse and detox, a proper diet will replenish the body’s energy levels. Since Vyvanse is a stimulant drug, the chemical elements in the drug stimulate the central nervous system causing an increase in production of dopamine and norepinephrine. Once the use of lisdexamfetamine is stopped, the drug starts to leave the body. Therefore, its effects begin to wear off causing the Vyvanse comedown symptoms. After this happens, feelings opposite to stimulation occur such as fatigue and irritability. This is what is called lisdexamfetamine crash. Lisdexamfetamine (Vyvanse) is used to treat attention deficit hyperactive disorder. Therefore, once the drug has worn off, there will be a diminishing of the functions of neurotransmitters in the brain. In short, after the drug has left the body, the levels of dopamine go down. This causes the Vyvanse crash depression. Normally, this condition is common late in the day because lisdexamfetamine is taken early in the morning. However, it may also occur during the day if the morning dosage is missed making Vyvanse take a longer time to work on the next dosage. 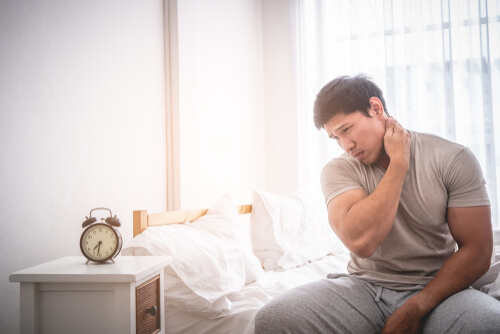 There isn’t any medical treatment of Vyvanse withdrawals symptoms; however, there are certain dietary and hydration regimen that can be used to manage the symptoms. Hence, knowing when and how to stop taking Vyvanse is important. Once some side effects start showing, it is an indication that someone should stop taking the drug. In addition, lisdexamfetamine should be stopped if the drug does not work well with the patient’s brain chemistry. This technique of withdrawals management involves the abrupt stopping of Vyvanse use. The patient does not decrease the dose gradually. Stopping lisdexamfetamine abruptly will likely lead to the onset of withdrawal symptoms. Therefore, this method can be used to monitor the Vyvanse withdrawal timeline of a patient. Tapering is when a patient gradually stops taking drugs by increasingly reducing the dosage. It helps manage the lisdexamfetamine comedown symptoms to a certain extent. This method is helpful even for users who snort Vyvanse. A patient getting off lisdexamfetamine should consult a medical doctor before tapering because a doctor can advise on the dosage to take gradually as they monitor the outcome. The doctor will also advise on the possibility of a Vyvanse crash, how to prevent it, and what to do when it happens. With stimulants like Vyvanse, there are currently no approved withdrawal medications that can be used. Instead, symptoms are treated with particular medication once they arise. This is in the case where the lisdexamfetamine user is in a rehabilitation center under the supervision of the professionals. The professional help is to understand how to get Vyvanse out of your system safely. Antidepressants and Mirtazapine can be used to treat withdrawal-induced Vyvanse depression, while benzodiazepines and antipsychotics are used to control irritability and agitation symptoms. Although this medication can be effective, care should be taken to prevent dependency. Therefore, these medications should be prescribed for a period of between 7 to 10 days under the watchful eye of qualified health staff. Nevertheless, the treatment in a rehabilitation center is the best answer on how to stop taking Vyvanse. It sets out on a clear path that is free of the drug and its effects. The cost, success rates, therapy offered, quality and availability of staff are some of the factors to consider when choosing a rehabilitation center. The two options in rehabilitation centers include an inpatient program as well as an outpatient program. 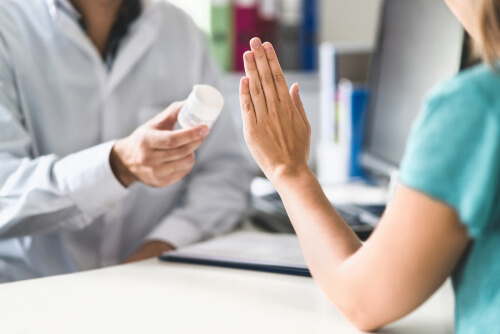 Health care providers may recommend an inpatient treatment for certain patients more to those with symptoms, despite it is more expensive than outpatient. However, it is important to realize that Vyvanse cost without insurance (or with) is much cheaper than addiction costs. Once there is a stoppage of using Vyvanse, certain withdrawal symptoms may occur, depending on the frequency of use, length of use and amount of dosage. 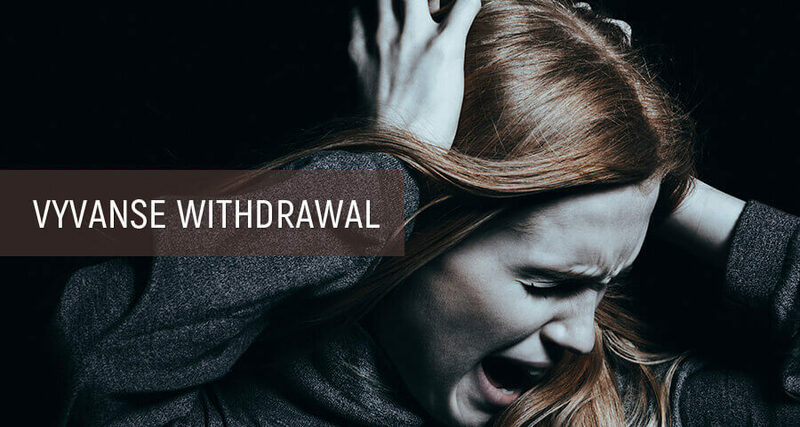 Although there may not be specialized medication to treat these withdrawals, specific medication can only be administered by a professional to manage withdrawals. It is, therefore, important to seek professional addiction treatment. Addiction Resource » Addictive Substances: The Anatomy of Drug Addiction » What Is Vyvanse (Lisdexamfetamine) And Is It Addictive? » What Is Vyvanse Withdrawal And Detox? How To Deal With It?